After defeating Felipe ‘Gallito’ Orucuta 36-5 (30) by unanimous decision in a WBC super flyweight world title eliminator, former titleholder and perennial contender Juan Francisco ‘El Gallo’ Estrada 37-3 (25) has demanded a rematch with WBC 115-pound champion Srisaket Sor Rungvisai 46-4-1 (41). 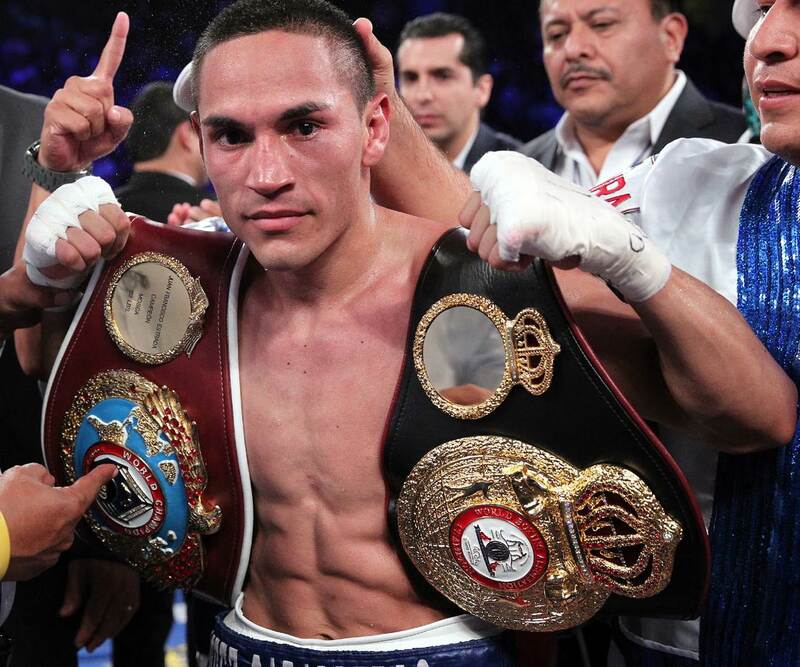 The fight against Orucuta at the fabulous Forum in Los Angeles, California on Saturday night took a few rounds to heat up, but once the action got going Estrada’s experience came to the fore. All three judges awarded the bout to the 28-year-old Mexican by scores of 117-111, 118-110 and 117-111. “I was really happy with my performance. I really liked how Orocuta came to fight. I did my job and that was to give fans a great fight,” said Estrada after the bout, who becomes the mandatory challenger to Rungvisai’s world title with the win. “I really want the rematch with Rungvisai. That’s why I fought tonight. I’m ready for the rematch, that’s the fight I want. Estrada dropped a majority decision to the Thai champion in February. Rungvisai is set to defend his WBC title against Mexican Iran Diaz 14-2-3 at Impact Arena in Pak Kret, Thailand on October 6. If Rungvisai versus Estrada doesn’t happen immediately after that bout, there’s a number of other options available for the fan-friendly fighter. Promoter Tom Loeffler of 360 Promotions said: “We would like to do the rematch with Estrada and Rungvisai. That depends how Chocolatito [Roman Gonzalez] does. He is the pioneer. You got [Kazuto] Ioka that looked great tonight [outpointing McWilliams Arroyo], he fought a very impressive fight tonight. I was extremely impressed.